Congratulation to those of you who recently bought or sold a residence! You may have only a short period of time to pack your TV and other belongings and move them to your new place. Here we offer three common sense tips to properly pack your TV and to make your moving day less stressful. If you saved the original box for your TV, hooray! The box is usually strong, durable, and best of all, it’s the perfect fit for maximum protection. But if you got rid of the TV box, there&apos;s no need to worry. You should be able to find a heavy‑duty box that is big enough to hold small to medium size TV. If you have trouble finding a very large size, some shipping stores offer custom-made boxes. 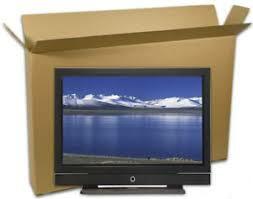 Look for double-wall corrugated boxes – they are the best for packing TV’s. If you don’t have the original Styrofoam to pack the TV snug in the box, wrap it in a soft blanket or bubble wrap to protect the screen against scratches. Don&apos;t forget to secure the blanket or bubble wrap to your TV with rope, packing tape or even moving-grade shrink wrap if available. This will ensure the blanket or bubble wrap will stay in place for the duration of your move. Slide your TV into your moving box and keep it in an upright position to avoid putting pressure on the TV screen. Before sealing the box, you&apos;ll want to make sure your TV is firmly padded and won&apos;t tip or shift during transportation. Add more packing material if needed. Finally, seal the box with packing tape and label the box as "Fragile" with an arrow point upward (to indicate which end is the top). Sometimes it’s worth the extra money to hire a professional moving company. They have the expertise and knowledge to pack, move and transport your belongings from Point A to Point B quickly and safely. 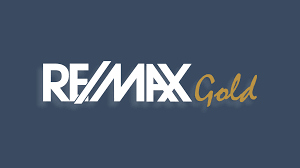 Please don&apos;t hesitate to contact us at 415-686-2304 if you need either referral of a reputable local moving company, cleaning service or any assistance getting ready for your move. We are here to help you for a fast, seamless transition to a new home.